With the 1.0 release of Kubernetes, we are pleased to announce the first version of our Calico network plugin for Kubernetes. This plugin lets you use Calico to provide L3 routed networking for your Kubernetes pods. Calico provides simple, scalable and secure virtual networking. Calico uses BGP to distribute routes for every Kubernetes pod, which allows it to seamlessly integrate your Kubernetes cluster with existing data center infrastructure without the need for overlays. The result is networking with exceptional performance and scale, that is simple to deploy, diagnose and operate. 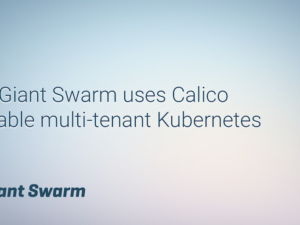 Calico is particularly suitable for large Kubernetes deployments on bare metal or in private clouds, where the performance and complexity costs of overlay networks can become significant. It can also be used in public clouds like GCE and DigitalOcean. 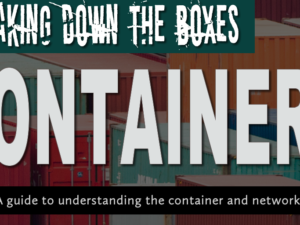 There are a number of ways to get started with Calico for Kubernetes. Check out our examples here to get started with one of our guides. We’ll be publishing guides for more OSs and cloud providers (including DigitalOcean), but in the meantime, if you need assistance don’t hesitate to drop us an email at calico-tech@lists.projectcalico.org, or send us a message on IRC at #calico. The current Calico network driver provides L3 routing for Kubernetes, but the Calico distributed firewall functionality is only available via the Calico APIs (and not via Kubernetes itself). We are working hard to bring Calico-style policy to Kubernetes; once the dust settles from the 1.0 release we’ll be working on the enhancements required to support this in Kubernetes. 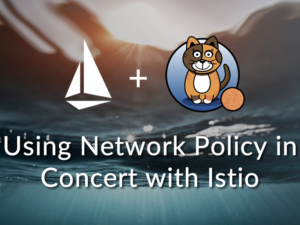 To understand how Calico style network policy can help you build more secure applications using microservices, watch Spike Curtis’s compelling CoreOS Fest talk. Paul is a Core Developer and Evangelist at Project Calico. He has been working on carrier-grade VoIP and data center networking since 2009. In his spare time, Paul enjoys building software and hardware controllers for brewing beer. When you view a scale-out network through a 1990’s enterprise lens….